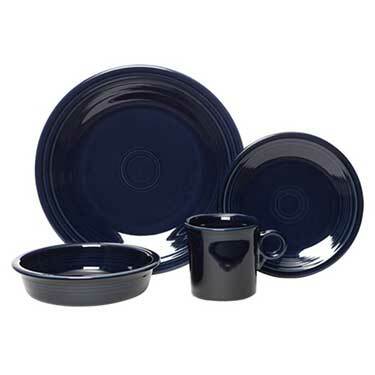 Fiesta Dinnerware features Cobalt Blue color on commercial quality ceramic and sculpted, concentric rings to highlight and frame the food presentation. Homer Laughlin's Fiestaware is extremely durable and designed for maximum heat retention. Fiesta dinnerware complements the personality and style of any restaurant, hotel, or home.